Pteheat oven to 190 °C. 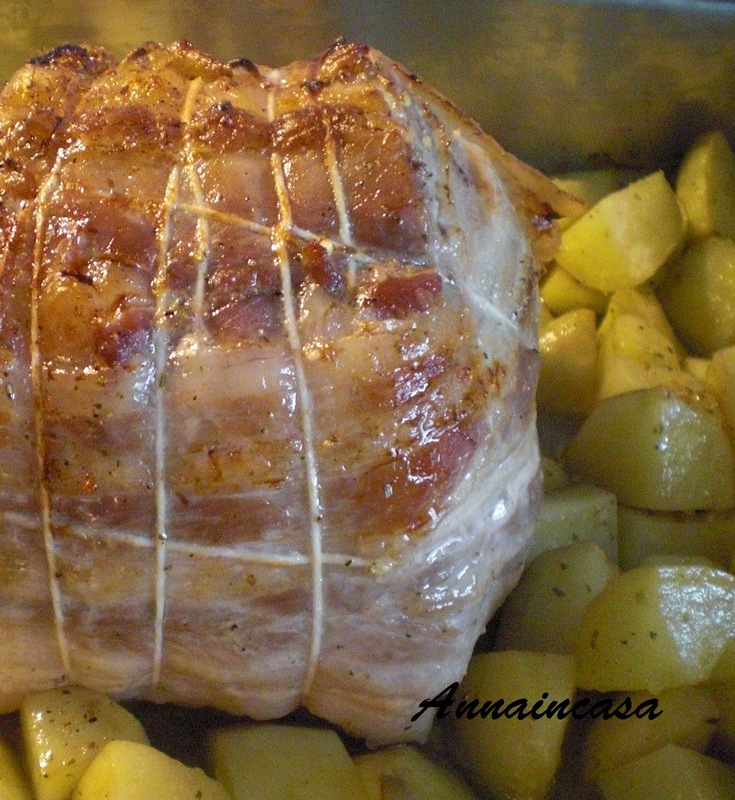 Cover the pork with the bacon all over and tie up with cooking string. Rub the meat with garlic. In a large pan, big enough to fit meat and potatoes, season with salt, rosemary, oil and butter. Wet with the wine. Trasfer the pan in the oven and cook for 30 minutes, check it once in a while. After 30 minutes, turn the meat and the potatoes and wet with the liquid in the pan and cook for about another 20 minutes. Slice the pork and if needed cook more until well done.